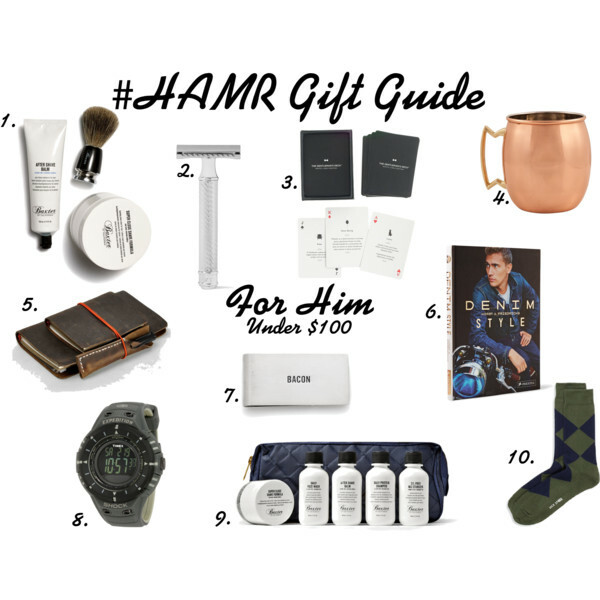 The second installment of the #HAMR Gift Guide is for him. For those amazing guys in your life, I’ve rounded up the best deals and steals under $100. I have to admit, I took inspiration from my brother and dad while creating this guide, so if they’re reading this (which I hope they are) they might know what they’re receiving. My favorite item on the list is the vintage handmade refillable leather traveler journal with pencil case from Amazon – a perfect choice for the pensive man in your life. I also like the bacon money clip because it’s way better than the rubber band my dad uses to keep organized. What’s on your list guys? Yah! I know it’s always difficult finding the perfect gift for that special guy. Glad I could help!